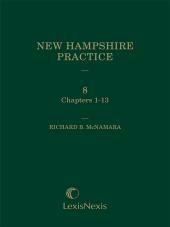 Author Gordon J. MacDonald provides an indispensable resource that remains the only treatise offering comprehensive treatment of all aspects of New Hampshire civil practice and procedure. 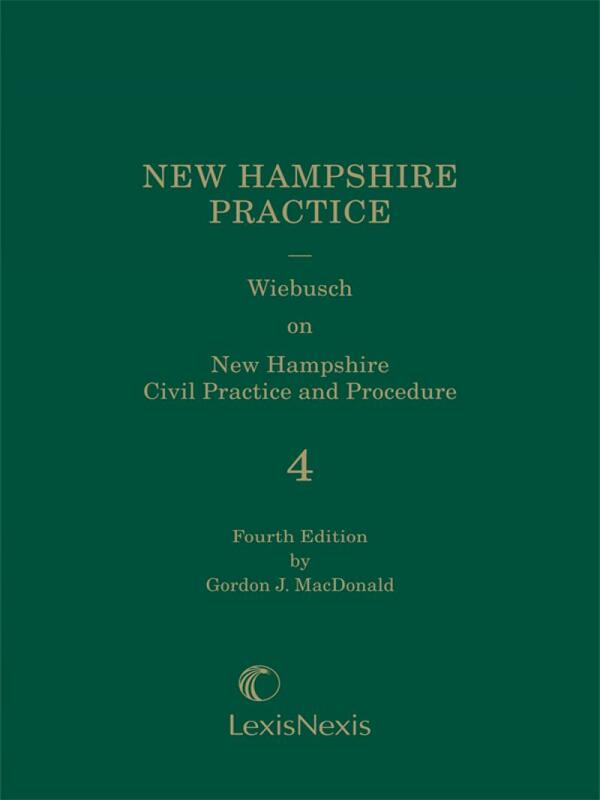 Wiebusch on New Hampshire Civil Practice and Procedure by Gordon J. MacDonald is an indispensable resource that remains the only treatise offering comprehensive treatment of all aspects of New Hampshire civil practice and procedure. 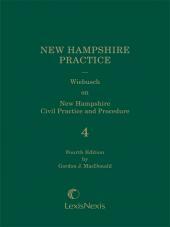 The Fourth Edition highlights the complete revision of the rules of New Hampshire’s trial court of general jurisdiction, the superior court. These new Superior Court Rules became effective on October 1, 2013. They formalize many substantive changes that had been implemented as part of the Proportional Discovery/Automatic Disclosure Pilot Project: they eliminate the distinction between proceedings in law and equity, create a single civil action to be commenced with a complaint, and impose automatic disclosure requirements and discovery limitations. A chart included in Volume 6 tracks the old rules versus the new rules. 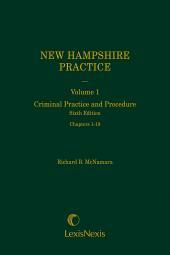 In addition to the new Superior Court Rules, the Fourth Edition addresses other changes. Notably, the transformation of the structure of the court system by the creation of the circuit court. Three trial courts with specialized subject matter jurisdiction - the district court, the probate court and the judicial branch family division - are now divisions of the circuit court. 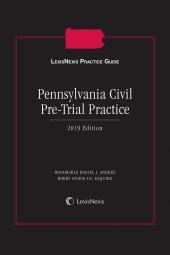 The Fourth Edition explains the entire civil process, beginning with commencement of a civil action, proceeding through trial, and concluding with appellate review. In addition, numerous sample forms and pleadings are included.